The Essex Library is honored to announce the eleventh year of its lecture series in collaboration with and sponsored by Centerbrook Architects. Kicking it off on Friday, February 15th at 7 p.m. in The Cube at Centerbrook Architects, will be author and architectural historian Christopher Wigren. Connecticut boasts some of the oldest and most distinctive architecture in New England, from Colonial churches and Modernist houses to refurbished nineteenth-century factories. 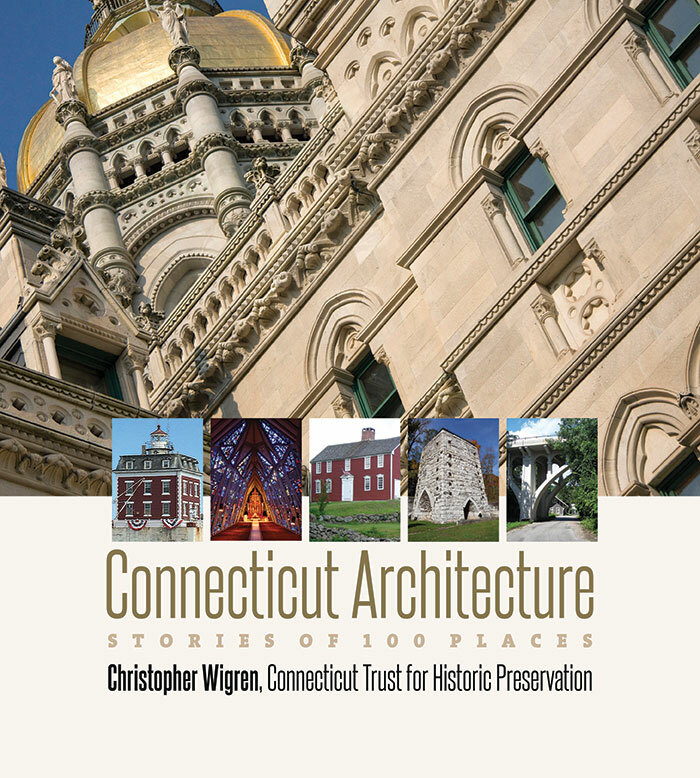 Architectural Historian Christopher Wigren’s recent book, Connecticut Architecture: stories of 100 places is a guide to this rich and diverse architectural heritage, highlighting key architectural features and trends and relating buildings to the local and regional histories they represent. In his talk, Wigren will highlight some of the 100 Connecticut places featured in the book including the people who built or inhabited them. Copies of the book will be available for purchase and signing after the talk.